Latest News — Goodfellow Bros.
Paradise, CA – SPSG Partners, a Joint Venture comprised of Sukut Construction, Pacific States Environmental Contractors and Goodfellow Bros. California, today announced they are mobilizing crews and equipment to begin a year-long cleanup effort, removing several million tons of fire debris and provide recovery services in response to the devastating impact of the Butte County 2018 Camp Fire. SPSG Partners is one of three firms to receive a contract issued by California’s Department of Resources Recycling and Recovery (CalRecycle) to remove debris, contaminated soil, and hazardous material associated with the largest and most destructive fire in the state’s history. To-date, it is estimated that approximately 17,000 structures were destroyed or damaged by the wildfire that impacted more than 150,000 acres of mountain terrain in Butte County and directly through the Town of Paradise. 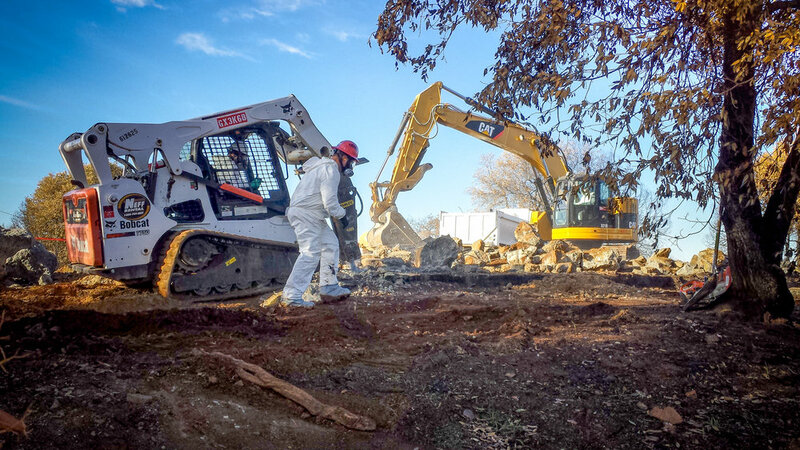 The Joint Venture’s scope of work for the cleanup efforts will involve the sorting, loading, and hauling of metals, concrete, ash and contaminated soil to various disposal sites within 150 miles of the affected areas. In total, this will employ more than 1,000 operators, laborers, truckers and a variety of others that will be helping to safely execute on this highly visible contract. The project is targeted for completion in the first quarter of 2020. For more information please visit www.sukut.com, www.pacstates.net, and www.goodfellowbros.com. Photography courtesy of Sukut Construction 2019. 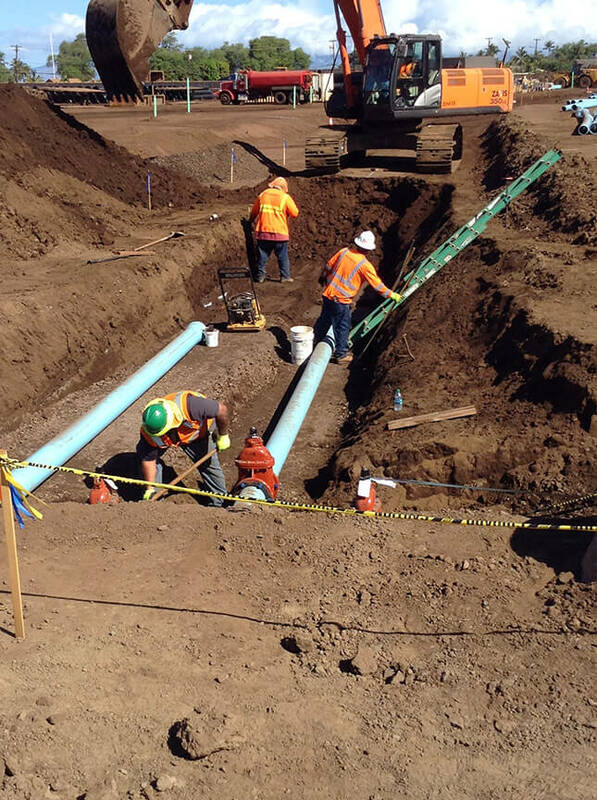 SPSG Partners, a Joint Venture comprised of Sukut Construction, Pacific States Environmental Contractors and Goodfellow Bros. California. The Golden State Warriors will soon be passing, dribbling and dunking in a brand new San Francisco arena—and it’s safe to say they’ll have a home court advantage. Chase Center, which is expected to open in time for the 2019-2020 NBA season, will be a state-of-the-art arena and event space on an 11-acre site in San Francisco’s Mission Bay neighborhood. In addition to the 18,000-seat multi-purpose arena, the facility will also feature two office buildings, 100,000 square feet of mixed-use and retail space, and underground parking. More than three acres—30 percent of the site—will be plazas, landscaping and other public spaces. 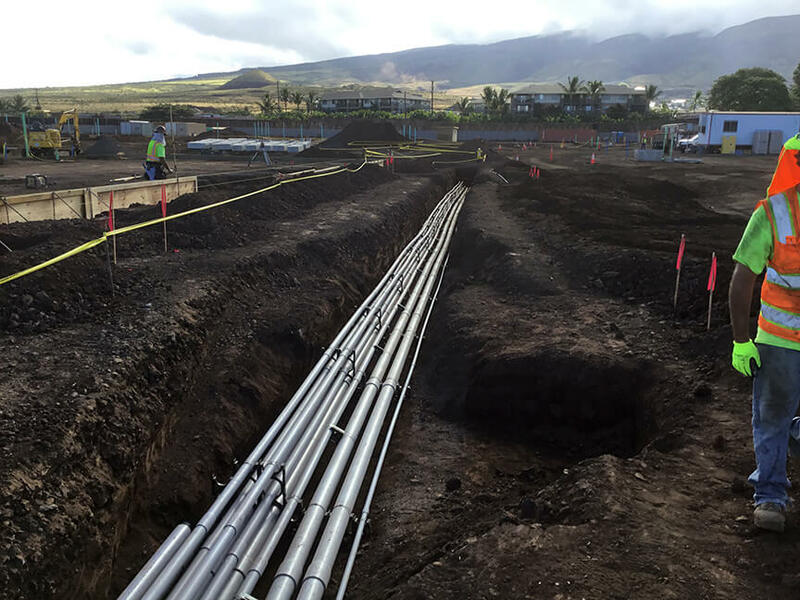 The 22-acre Kahoma Village project will offer affordable housing in West Maui for the first time in nearly 30 years. When completed, Kahoma Village will have 69 cluster single-family units, 32 alley-loaded single-family units and 102 multi-family units—all considered to be affordable housing. Additionally, Kahoma Village will have sustainable features and 1.75 acres of parks at a prime location within walking distance of the beach, grocery stores and Lahaina Town. Map showing UC Merced facilities expansion. The UC Merced 2020 project is part of a commitment by the University of California to increase accessibility for out-of-state students. The project includes 1.2 million GSF of facilities and expansion. The 136 acres of undeveloped property will nearly double the size of the existing campus by adding 13 building sites, including a dining hall, student housing, wet/dry laboratories, a research server, a conference center, competition pool, wellness center, competition outdoor field, sports fields and courts, and more than 1 million SF of parking—all while achieving a triple net zero commitment to environmental impact. GBI is wrapping up the two-year, $47 million Ilani Casino Resort project located in La Center, Washington. Developed by Salishan-Mohegan LLC in collaboration with the Cowlitz Indian Tribe, Ilani is marketing itself as the premier destination for gaming, entertainment, retail and dining in the Pacific Northwest. GTGC partnered with Skanska to act as the general contractor for the construction of the 550,000-square-foot FedEx Distribution Center in Tracy, California. 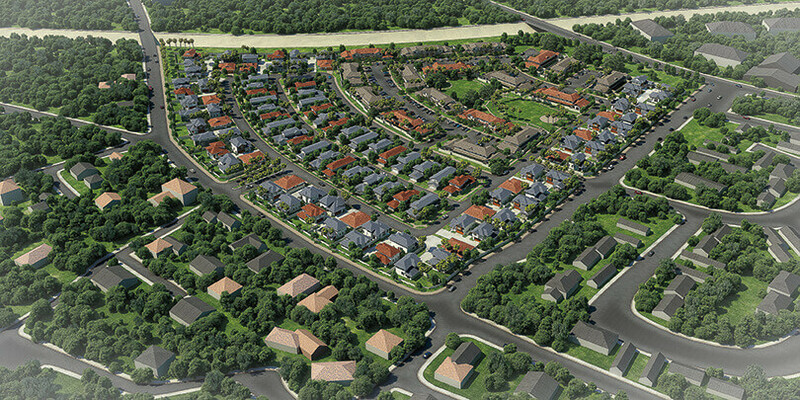 The Villages project is a master-planned community development in Black Diamond, Washington. Once complete, The Villages will provide residential, commercial, office, retail, educational and recreational uses to the small city of Black Diamond. In 2014, GBI was contracted to clear more than 100 acres of forest and mass grade the site. 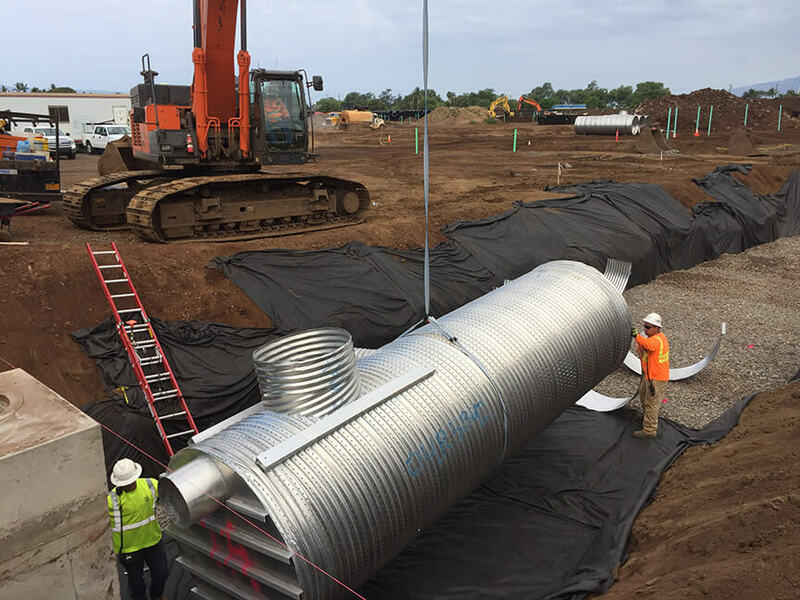 Now, in 2016, GBI is completing the initial phases of the development, which includes clearing and grading another 75 acres of land and bringing 11,000 linear feet of water main from offsite to the development. 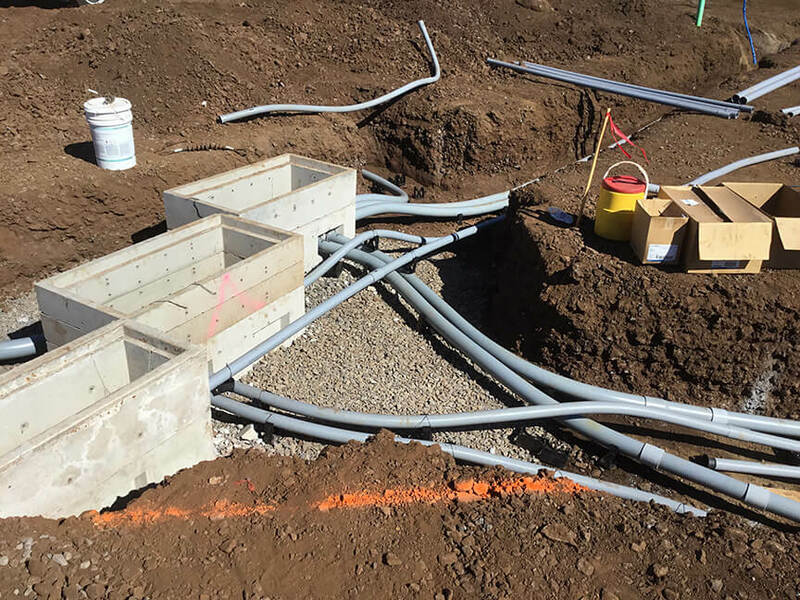 GBI is also constructing a sewer lift station, two residential plats that total 268 lots and more than 60,000 linear feet of onsite sewer, water and storm drain lines. In addition, GBI will be building a 4.5-million-gallon storm water holding pond and a 10.4-million-gallon storm water infiltration pond. This is a small portion of the master development project, which will continue to expand over the next 10 to 15 years. On Thursday, May 5, the Oregon Zoo Elephant Lands Habitat was awarded the 2016 Project of the Year by the Oregon Daily Journal of Commerce. This prestigious award honors the best building and construction projects in Oregon and Southwest Washington. GBI worked with Lease Crutcher Lewis from the start of this project in 2013 to its completion in November of 2015. Once the corridor of royalty for the first capital city in the Kingdom of Hawai‘i, the Queen Ka‘ahumanu Highway corridor now provides 35 to 55 mph access from Kailua-Kona and the Kona International Airport to the famous gold coast on the Island of Hawai‘i. 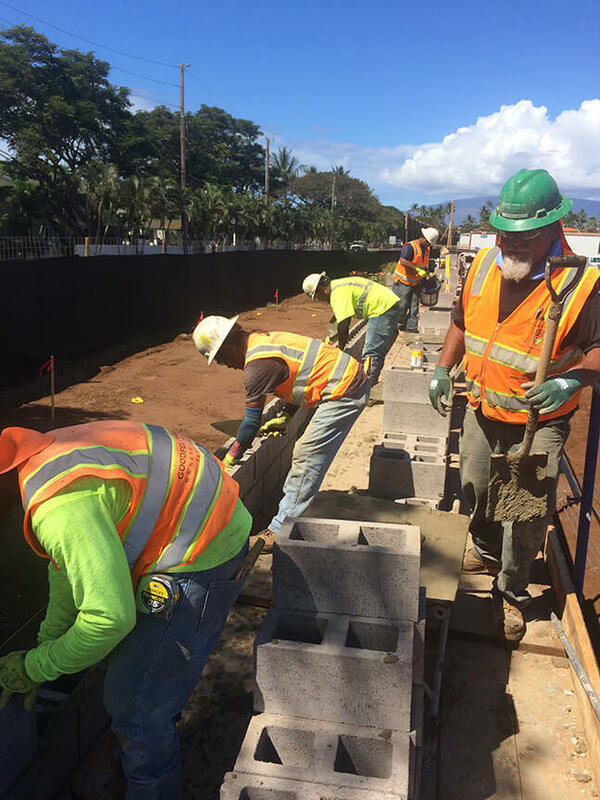 The Queen Ka‘ahumanu Highway Widening, Phase 2 initial contract value is $76.2 million to widen and construct two additional southbound travel lanes from approximately 1,150 feet south of the Kealakehe Parkway intersection to a point approximately 1,700 feet north of the Keahole Airport intersection. Since the project’s initial release in 2008, there were a number of bid protests and design changes, which extended the start date from 2010 to its actual start in September of 2015. These changes and time escalation are expected to increase the final contract value to over $85 million. Much of the project corridor will require hard rock excavation to achieve the desire design grades and will require heavy ripping, hydraulic hammering and potentially the use of drilling and blasting. Other areas will require substantial quantities of imported fill material. The project improvements to the existing roadway include: widening the existing two-lane highway into a divided four-lane configuration capable of conveying traffic volumes in excess of those projected for the next 20 years; extension and potential realignment of several drainage structures; utility relocations and the installation of improved water and sewer systems throughout the length of the project; the installation of six signalized intersections and comprehensive highway lighting to improve the safety of the roadway; and context and culturally sensitivity improvements along the full length of the improved corridor. Mass excavation for the project started on Sept. 8, 2015, with an expected completion in March of 2016. Both pavement and intersection improvements throughout the remainder of the roadway are expected to be completed in Sept. of 2017. Visit the official Queen K website at buildqueenk.com for more information on the project. The Cedar Hills Landfill was broken up into two major schedules. The Area 7 Stage II Closure consisted of grading 7.2 acres of slope face, placing 3.1 acres of geo-synthetic clay liner with soil cover, four acres of LDPE liner and HDPE gas collection lines and drainage facilities. On Saturday, Nov. 7, GBI and the Maui community celebrated the successful completion of the Hansen Road project. The celebration included a traditional Hawaiian blessing and a ceremonial bike ride to officially open the road after it had been closed for 33 weeks. The project was 7,603 feet long and included one major intersection. The scope of work included demolition and removal of existing asphalt, excavating to subgrade, modifying existing drainage channel, installation of guardrails and more. L to R: Regional Manager Bo McKuin, Kapena Au, Ed Roybal, Kawika Benjamin, Raina DeVault, John Kan Hai, Michele Souza, and Quinn Kent. Pastor Lucky Ka’ahumanu blows the conch shell while Maui County Councilmember Don Couch, Managing Director Keith Regan and Councilmember Mike Victorino untie the ceremonial maile lei.